When designing a website, the most valuable aspect of the page layout, which all designers should keep in mind, is the page fold. In just a few seconds, visitors will be able to decipher if a website is worth visiting. You have too little time to impress your visitors, and here comes the importance of a website page design fold. The principle of a page fold is as simple as including all valuable information on top of the fold. When you place valuable call-to-action buttons / website messages under the fold, there will be slim chance for visitors to find the info they are searching for. Only a number of them will scroll down to look into the information under the fold on their first visit to your website. 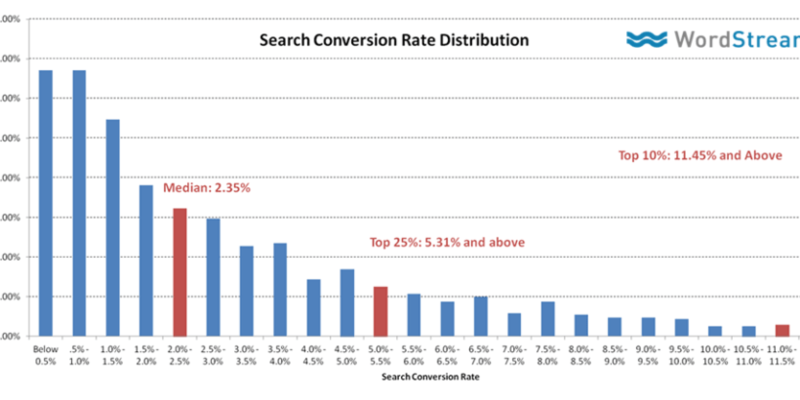 In case this happens, do not expect to achieve a great conversion ratio. Majority of web designs create a website based on what clients require. However, in the long run, they neglect their target market, users who will truly visit the site. The main problem here is not doing enough research on your audience or not knowing your users. This means to say that the decisions you make when designing are only based on assumptions, which are often wrong and which cause users to be dissatisfied with your site. Websites that achieve a high level of conversions are those that are extremely user-oriented. You should understand the users and apply this understanding when creating your website design. Sometimes, using too much of a certain design element is not what confuses a visitor, but rather using the wrong choice of design elements that diverts the user’s attention from your website’s message. They draw your visitor’s eyes to less significant parts of your web pages. Since you placed some design elements in the wrong places or have placed images around important buttons / visuals that do not let visitors focus their attention on them. Always be careful when it comes to your designing choices. For instance, you might be bent on placing a huge background image on your site’s Home Page, but this gets in the way of the site’s eye flow. So, it is best not to use it. Colour can make or break your website conversion rates. Using too many colours can confuse your visitors. Understanding the colour psychology is essential to choosing the right colour for your website. Do not think of your website as a piece of artwork, since people do not visit just to admire the way it looks. It is created with a purpose. It is meant to accomplish an objective by means of what visitors do on the website. You need a clear call to action so visitors know what to do once they land on your site. It may be to buy your product, ask for a quote or subscribe for a newsletter. If you are not clear with your call to action and the “what next” question is not answered, do not expect any conversions. These are the crucial errors or mistakes that can ruin your website conversion rates. Be sure to avoid them and use our tips to improve upon other aspects mentioned here!